Being something of a haven of legality on a continent with, let us tactfully say, a rather patchy respect for the rule of law, presents South Africa with some special predicaments. All kinds of weird and wonderful fugitives, political and otherwise, wash up here or try to. Dealing with them is often a real challenge for this government, frequently requiring it to juggle between respect for the law and diplomatic expediency. Remember Sudanese President Omar al-Bashir, for example, who was invited to South African President Jacob Zuma’s inauguration in 2009, along with all other African leaders. But at the same time the South African government warned that if he did, in fact, accept its invitation, it would have to arrest him because he was (and still is) a fugitive from the International Criminal Court, of which South Africa is a member. That backhanded hospitality created tension with the Sudanese government, although diplomatic relations ultimately survived the episode. However the South African government is still wrestling with the Rwanda file and will no doubt have to do so for some time to come. 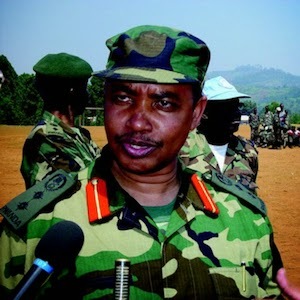 In 2008 former external military chief Patrick Karegeya fled to South Africa after falling out with his erstwhile close friend, fellow Tutsi and stalwart in the Rwandan Patriotic Front, President Paul Kagame. South Africa granted his request for asylum. In February 2010, Karegeya’s comrade, former army chief General Faustin Kayumba Nyamwasa also fled Rwanda after likewise falling out with Kagame. By then Rwanda had charged both men for conspiring to violently topple the government and asked Pretoria to extradite Nyamwasa. South Africa instead granted him asylum. Then Nyamwasa was shot and wounded, although not fatally, as he was being driven into his home in Atholl, Johannesburg on 19 June 2010. A few days later a group of foreign men were arrested, evidently en route to strangle him in his hospital bed. Prosecutors eventually dropped the case against that group because their star witness unexpectedly turned hostile. They decided to focus instead on the case against a different group of men from the Great Lakes region who had been arrested for shooting Nyamwasa. The case against them in Johannesburg courts has dragged on but is due to resume over the next few days and appears to be near concluding. More than one witness has implicated the Rwandan government in court for the attempted assassination of Nyamwasa, which it has denied. And then, on New Year’s Day this year, Karegeya was found dead in his room in Sandton’s Michelangelo Towers Hotel, evidently strangled. Again suspicion pointed at the Rwandan government and this time the official denials were even more pro-forma. Kagame made statements such as, ‘We don’t seek permission to defend our country,’ which all but admitted guilt. Whether Karegeya’s assassins will ever end up in court is by no means clear. Four of them were soon reported arrested in Mozambique; then Mozambique police denied the arrests, later confirmed the arrests and this week, denied them once more. The Rwandan opposition diaspora in South Africa suspects either that ‘someone has been bought’ or, at least, that the South African and Mozambican police are deliberately keeping the case dark until they have the suspects securely behind bars in Johannesburg. An outlying conspiracy theory is that the South African police simply don’t want the suspects to be caught at all. Relations between South Africa and Rwanda plunged after the Nyamwasa shooting. South Africa recalled its ambassador – a strong diplomatic gesture of protest which it had only made twice before. Kigali reciprocated. Then both countries eventually decided they needed to be talking to each other over various pressing issues – not least the differing interests both have in the eastern Democratic Republic of Congo. And so both appointed new ambassadors and relations started normalising. Then Karegeya died, threatening to plunge relations back to an even lower point than before, especially if there is a court case and Kigali is proved complicit. One can see that for Kagame, a military man of action, South Africa’s approach is just plain unfriendly and his response, therefore, perfectly logical. ‘If you do not hand over my enemy, I will deal with him myself,’ more or less sums up his attitude. Whereas Pretoria, clearly, is once again walking that tightrope strung between its conflicting legal and diplomatic interests. Furthermore, it’s not always such a clear-cut choice between the two anyway. By allowing Nyamwasa to stay in South Africa, the government may also be violating its legal obligations. That is certainly the view of the Consortium for Refugees and Migrants in South Africa (CoRMSA) and the Southern Africa Litigation Centre (SALC) which launched a case in 2010 asking the courts to rescind Nyamwasa’s refugee status. They argued that he should not have been granted asylum because of credible accusations – not disclosed by him when he applied for refugee status – that he committed war crimes and crimes against humanity. The two NGOs cited separate indictments against Nyamwasa by French judge Jean Louis Bruguièreand Spanish judge Fernando Andreu Merelles, for his alleged responsibility, as a military commander, in atrocities committed against a few of their respective nationals and against masses of mainly Rwandan Hutus in the aftermath of the 1994 genocide. In the French case, the French victims were the pilot and crew of the Falcon jet carrying Rwanda’s Hutu President Juvenal Habyarimana and Burundian President Cyprien Ntaryamira and other officials. The jet was shot down as it came in to land at Kigali airport on 6 April 1994, killing all on board and sparking the Rwandan genocide. Judge Bruguièreblames this crime on Kagame’s Rwandan Patriotic Front, rather than the more common suspects – the Hutu extremists – who then went on to perpetrate the genocide. Incidentally in an interview with Radio France Internationale in South Africa last July, Karegeya said he had evidence proving Kagame’s responsibility for shooting down Habyarimana’s aircraft, which he was ready to hand over to Bruguière. Some observers believe these remarks may have cost him his life. In South Africa, Judge Nomonde Mngqibisa-Thusihas yet to give her judgement to CoRMSA and SALC, although it would be timely now. The two NGOs make it clear they are not asking for Nyamwasa to be returned to Rwanda if his refugee status is revoked. They say South Africa could instead prosecute him itself for the alleged atrocities or it could grant him permanent residence, on condition that he make a full, Truth and Reconciliation Commission-type confession of his crimes. Or South Africa could agree to the extradition request of either France or Spain. There has been some doubt about whether these extradition requests still stand but the Pretoria embassies of both countries quite recently confirmed they were still open and awaiting an official response. This is probably not an option Pretoria relishes, because it likely considers both cases to represent undue European meddling in African affairs – a species of judicial neo-colonialism. Yet this could well be the most elegant solution to the Nyamwasa conundrum, satisfying South Africa’s commitment to international law, helping to illuminate a very murky chapter in Rwanda’s recent history, removing a constant irritant to relations with Rwanda, and avoiding what seems – given Kagame’s relentlessness – another inevitable and very embarrassing murder in our backyard.